Russian Su-34 jets deployed in Iran conducted airstrikes against Daesh in Syria's Deir ez-Zor, the Russian Defense Ministry said. Russian Su-34 strike fighters deployed at the Hamadan airbase in Iran carried out airstrikes against Daesh targets in the Syrian province of Deir ez-Zor and destroyed two command centers and two Daesh training camps. Some 150 Daesh terrorists, including foreign fighters, have been killed as a result of Russia's strikes on Wednesday, the ministry said. "On August 17, 2016, Russian Su-34 bombers carried out strikes from the Hamadan airfield on the territory of the Islamic Republic of Iran against targets of the Daesh terrorist group in the province of Deir ez-Zor. Aircraft carried high-explosive bombs OFAB-500." — Минобороны России (@mod_russia) 17 августа 2016 г. 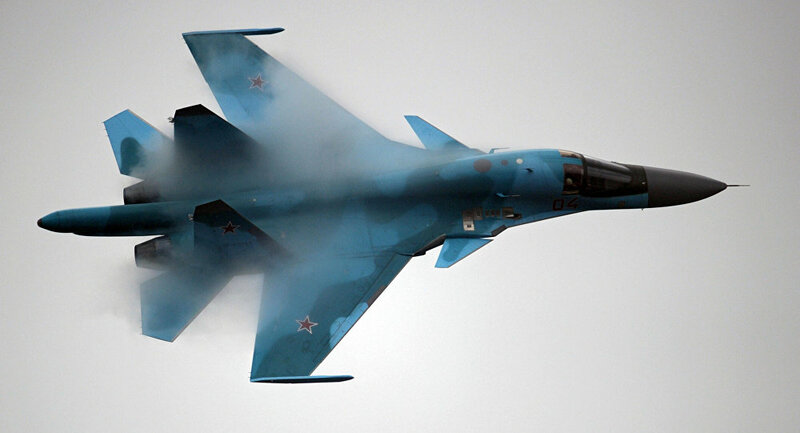 "The Su-35S aircraft based at the Hmeymim airbase [in Syria] provided fighter-bomber air cover for the bombers. After successfully conducting combat missions, all Russian aircraft returned to their home bases." The Su-34 fighter-bomber has been tested in the war against Islamist radicals in Syria where the aircraft arrived among the first Russian forces in 2015.